Funky remix made on top of an old recording of my two sisters singing when they were really young. 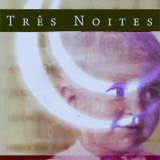 Eis a estrela is the third track of a CD I recorded as a Christmas gift to my closer family on 2002. Not so mellow this time. SourceOriginal analogic recording, digitally captured, remixed and remastered.